1880 Kimball at Kansas State University provides commercial goods and services to a Severely Distressed neighborhood. 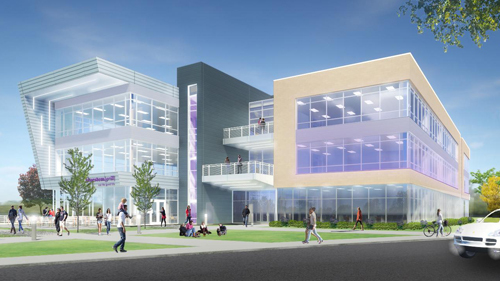 NCIF provided $5 million in New Markets Tax Credit allocation and $1 million of debt to finance the development of a 59,000-square-foot office building that will be used as corporate incubator space in Manhattan, Kansas. The development includes 57,500 square feet of office space and 1,500 square feet of restaurant space. The incubator-style office space will include shared conference rooms, collaborative technology, and event space for tenants. Central Bank of Kansas City (CBKC): CBKC is a CDFI bank located in Kansas City that is playing a significant role in the project as a co-NMTC allocatee and lender.